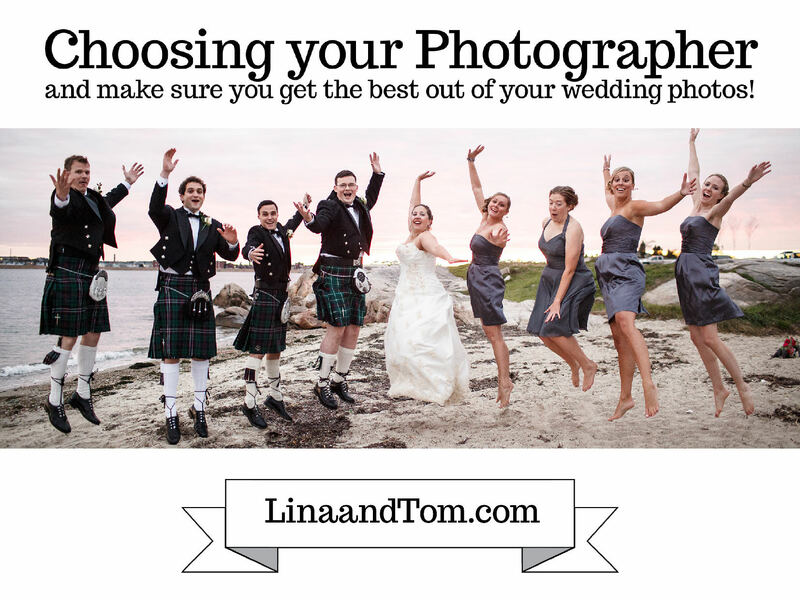 Choosing your wedding photographer and how to get the best out of your wedding photos! 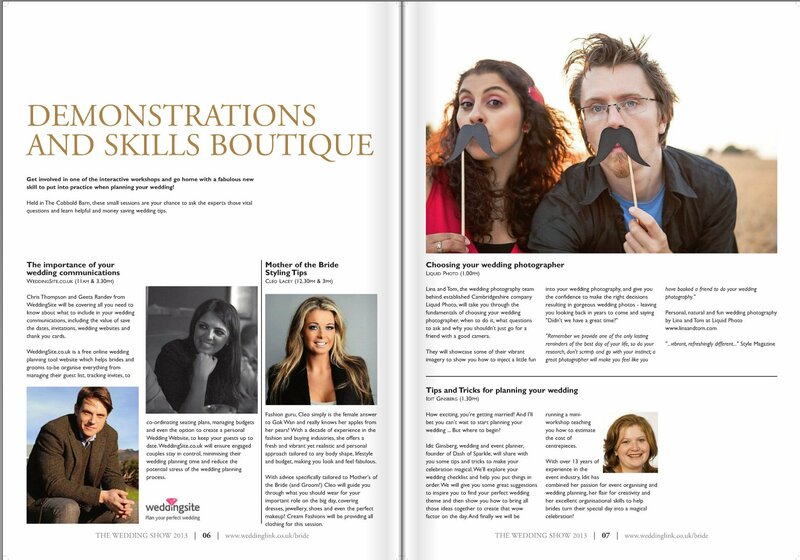 For the Knebworth Wedding Show 2013 we were asked by Wedding Link Herts and Cambs to present a seminar to prospective brides and grooms. We decided the best advice we could give would be tips on choosing your wedding photographer and therefore get the best out of your wedding photos. 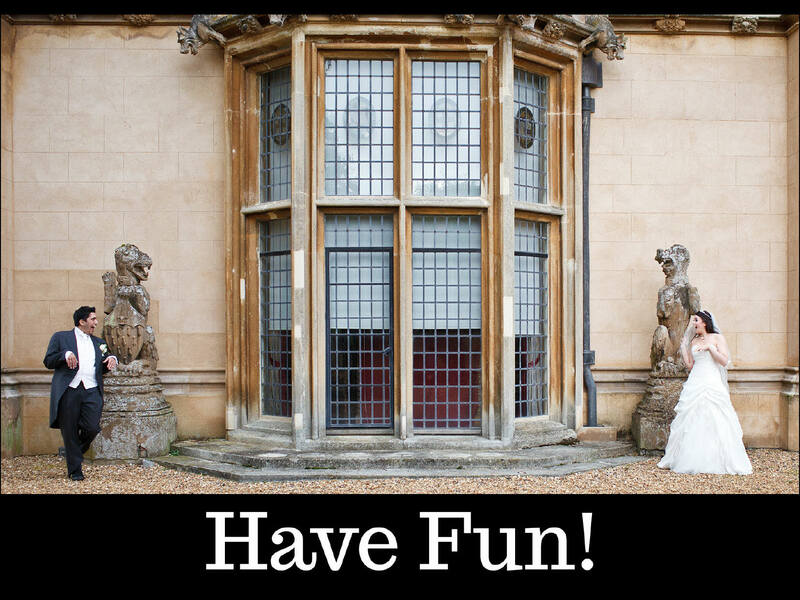 Those of you who know our work will know we are all about making sure the fun you have at your wedding and we capture it – the day goes too quick for you to be standing around in endless photos. Congratulations – you’re getting married! So your starting to plan your wedding. Everyone will tell you the most important things to cover first are your venue(s) and your dress and they’re not wrong, but we advise the next big thing should be your photographer. A great photographer will be booking weddings over 12-18 months in advance, occasionally we even book 2 years in advance, so don’t miss out on someone you love, get it high on the priority list. 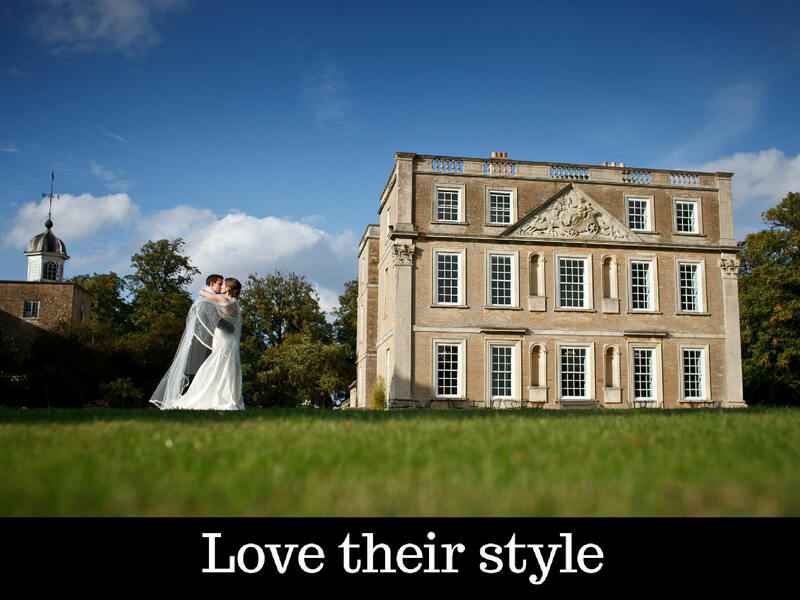 Whilst you are looking, there are some very important points to consider when hiring a wedding photographer to make sure you get those fantastic photos which you will treasure forever. Yes I know that’s cheesy right? But so so important! Your photos are the only thing that truly lasts, yes you may keep your dress but even that gets cleaned and boxed up ready for the loft. 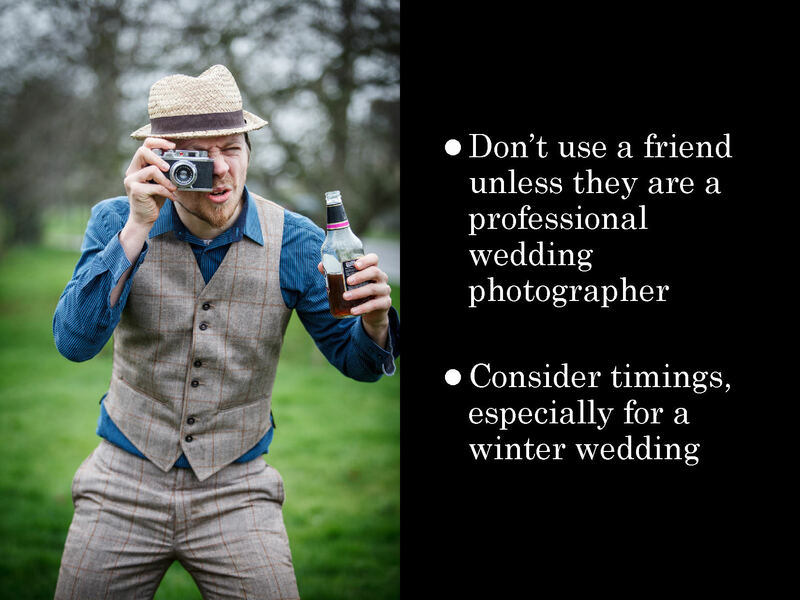 Firstly, and possibly somewhat controversially, don’t use a friend unless they are a wedding professional. It seems everyone has a decent DSLR these days, we are very used to having people taking pictures with cameras almost as good as ours behind us at weddings, but being a wedding photographer is so much more than taking pretty pictures. How would you feel if they missed some key moments? A wedding is a high pressured environment! They will only have one chance, do you want to put that pressure on your friend, or would you rather they enjoyed the day with you, free to capture some lovely candid shots without the added pressure? We thrive on the pressure, it’s our passion and we know we can leap into action if something changes or goes wrong. You will get various lighting changes, not to mention all weather conditions and we can herd all your guests accordingly. We shoot almost entirely using natural light, so no distracting flashes during those key moments, and use of light is particularly important for a winter wedding. 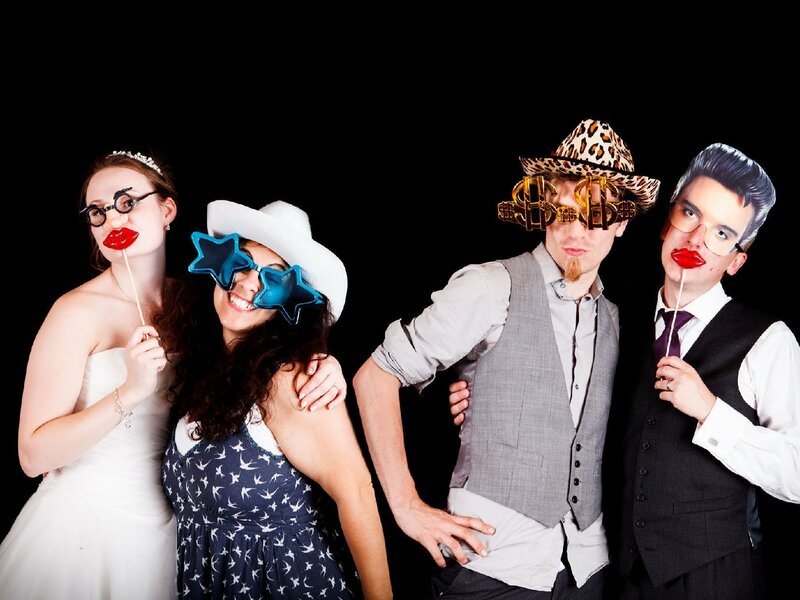 Depending on the time of the wedding, your group shots will be in faded light – do you want to put this pressure on your friend to get their setting right? We love to use this to our advantage for gorgeous shots in a low setting sun. Don’t risk destroying your friendship. This goes the same for a friend who is a professional photographer but actually photographs cars or products for a living – it is definitely not the same! So assuming you have taken our advice, be generous with your budget. We recommend 15% of your total budget – be prepared to be flexible and be prepared to cut the budget elsewhere. As the wedding photography world is rather saturated, you do tend to get what you pay for, and remember these photos are your memories recorded to last a lifetime so don’t take any risks! If you’re thinking it’s a lot of money for a ‘one day job’ – forget that right now! 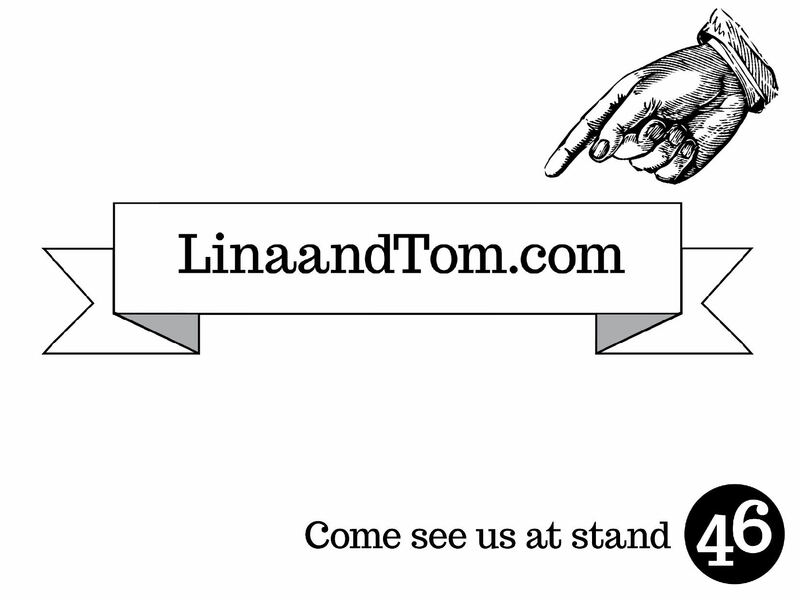 We will meet you, visit your venue, work 10+ hours on the day, spend hours on processing (on average we will spend around 30-40 hours!) and then you have creating the web page, disks, album design… you get the picture! 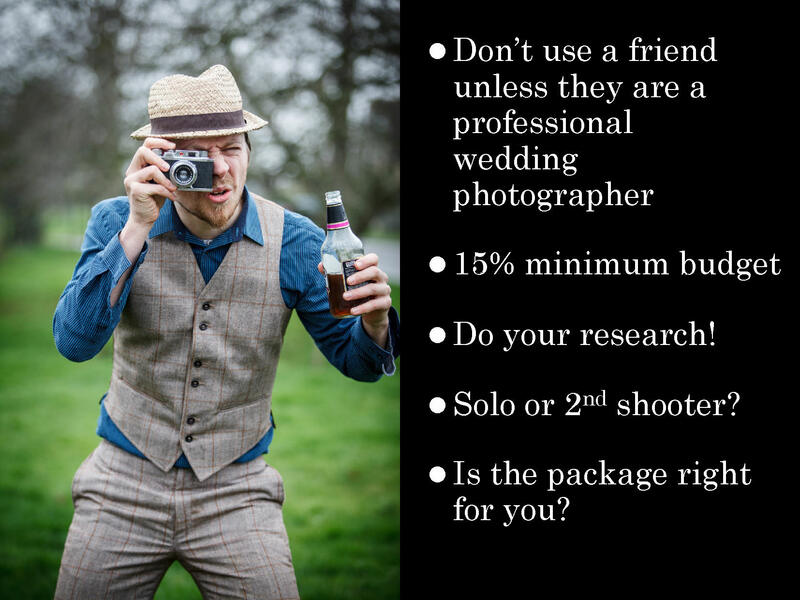 We all know someone who has organised a wedding, so talk to them about their photographer. Did they like their photographer as a person? How happy were they with the finished product? What were their guest’s reactions? You can also ask your venue for recommendations, but remember that some of them charge suppliers to be in the brochure, so it’s less about recommendations and more about money. So still do your research. Google photos at your venue and photographers in your region. Blogs can be a great way to see images. When you see a photographer’s website, don’t just look at their portfolio; ask to see a full real wedding if there isn’t one up. When looking at portfolio images, ask yourself, is that a real bride? Many photographers, and in particular the larger studios, may hold photo shoots and then put the images in their portfolios. We always tell our clients, this is your wedding day, not a fashion shoot. Are they solo or work with a second shooter? You will get a wider coverage with 2 people. Check who the second shooter is, another professional or a student maybe. If you are having over 100 guests, then we believe having a second person is essential. What are the packages on offer? How long do you want them present? If you know you will have a great party in the evening, consider keeping your photographer all day, the best shots we take are at the party – and these are the ones which will keep you laughing for years! Do they give you all the images on disk or do you have to pay more? Some photographers will include the disk in the package price and some make you pay extra – make sure you clarify this if the disk is important to you, but do think very carefully if you think you just want the disk – we will return to this point later! There are varied styles around from traditional posing to natural and relaxed reportage (documentary) photography, so the style of your chosen wedding photographer will have a big effect on your finished product. Choose someone who already produces the style you want, don’t expect someone to change their style for you, or complain if you then don’t like the finished product when it is their signature style which you initially viewed! Do you like them as a person? This is such a huge must and so many people don’t consider it! Do you have a natural rapport or is there a particular dislike you have? Go with your instinct. There are enough of us to go around so don’t settle for someone you don’t like, as chances are your guests won’t like them either and that won’t bode well for your photos. Ask to see some images in print, you can really see the quality of images when they are printed. Do they have insurance? Most photographers will have public liability and professional indemnity. Some venues ask to see your photographer’s public liability certificate and they should be happy to show it. It’s also worth bearing in mind a friend is unlikely to have it. Read the contractual agreement carefully and ask any questions before you sign. No-one should be pressuring you to sign quickly! If we have an enquiry from a date we already have a couple considering, we will ask the couple if we can answer any further questions to help them make their decision. The agreement is put in place to protect you both, check you are clear on cancellation, what happens if your photographer gets ill (they are only human after all) and what your usage rights are in particular. Do you want to put your images on Facebook? Most photographers will allow this, but usually with a watermark retained – do not be tempted to crop this off, you’ll be breaking your agreement! So, you have chosen your photographer, hopefully they made you feel at ease and you are comfortable with giving them the job. So how do you make sure you get the best out of them for your photos? Firstly, information is key. 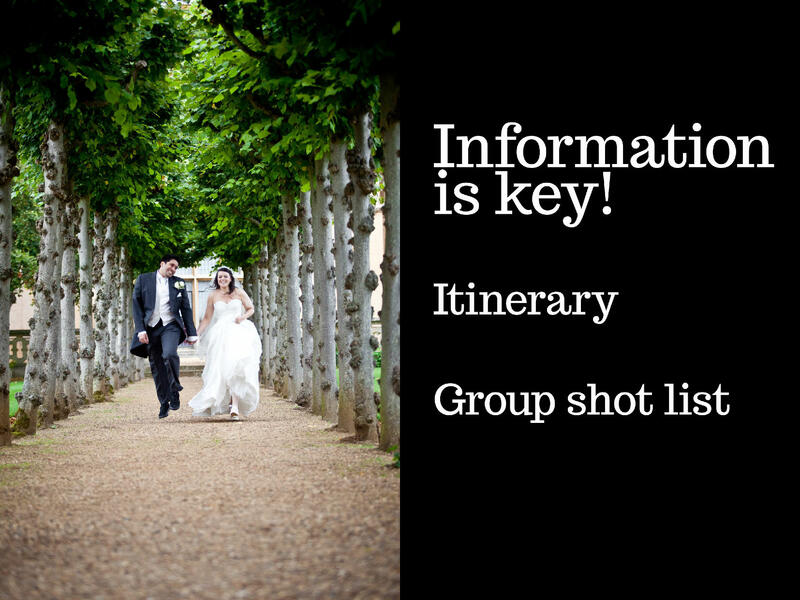 You are likely to have a final meeting with your venue around six weeks before and you will finalise your itinerary – please send this to your photographer, we need to know what to expect and when to be where and when. When you have had your ceremony we recommend at least an hour and a half before your wedding breakfast so we can get your photos done with no stress or fuss. Don’t worry about your guests, as long as they have a glass of fizz and a nibble on a napkin they’ll be happy. Whilst we’re talking about formal photos, these are your ‘mantelpiece moments.’ Many couples we meet these days think they don’t want any. Actually, you don’t want them as they used to be, all stiff and posed. You need to manage expectations! There is nothing worse than deciding you don’t want any and then mum or auntie gets really unhappy because you didn’t consult them. Talk to your parents about what is best. Rejoice, gone are the days of stiff and boring group photos. We call ours ‘informal formals’. We want people to bring their drinks, have a giggle, cuddle up – these are your loved ones after all, and you want to look back at the groups and see how people enjoyed your day in their faces, not just what dress they wore. So give your photographer a list of the groups you want, so we can work through them quickly and efficiently, and you can go back to enjoying your wedding. You can go for the bear minimum if you wish – bride’s family, groom’s family and everyone. It’s also a good place to start! The most common things we hear when we start talking to a couples is “I/We hate having our photo taken.” “I/We are not photogenic…” Stop right there. There is a difference between posing at 1am after a few gins and your wedding day. Everyone is photogenic on their wedding day! You will look and feel a million dollars and you both will be radiating joy, so don’t worry! We have three key suggestions for you to make sure you feel great on the day and don’t worry about being photographed. 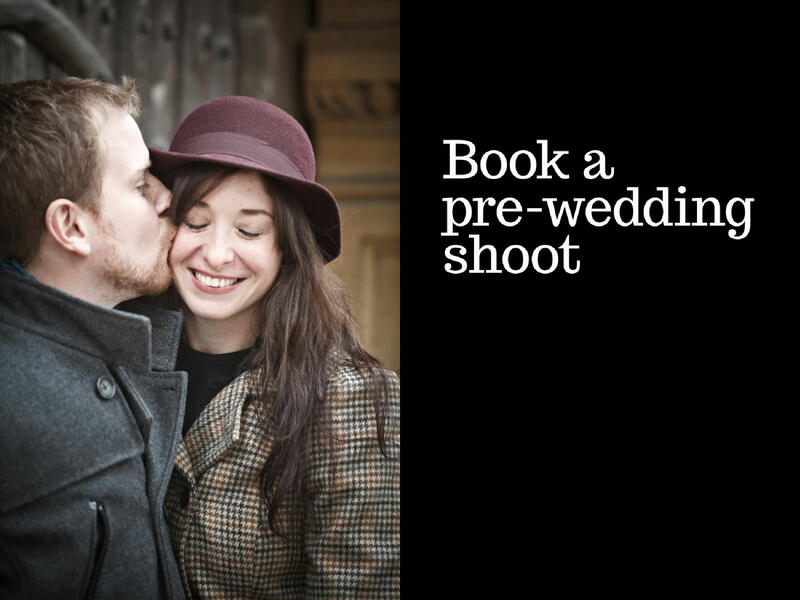 Firstly, book a pre-wedding shoot. Some photographers have these in their packages, some don’t, but it is worth paying a little more for the ‘dry run.’ You will get to know how your photographer works and they you. 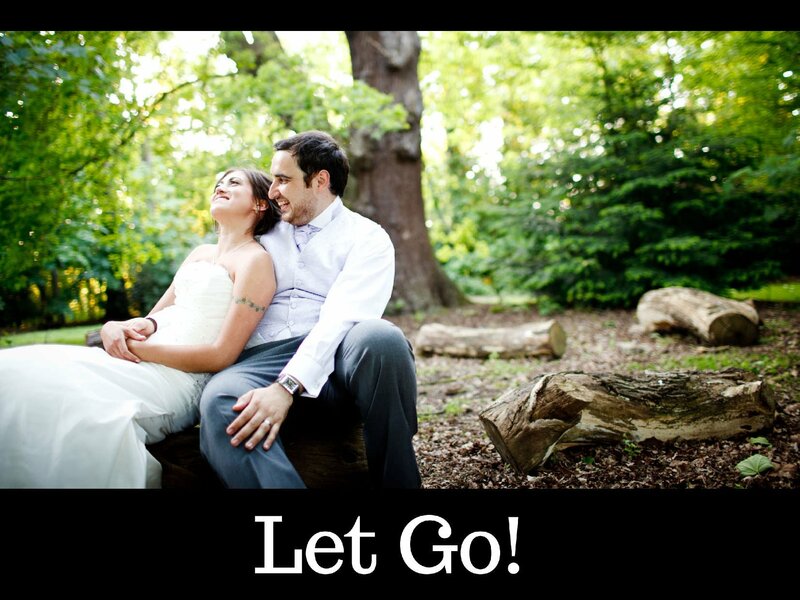 100% of our pre-shoot clients say they feel better after a pre-wedding shoot. We can go to the venue or even the place of proposal, like this gorgeous engagement shoot on the banks of Loch Ness. Secondly, book a make-up artist. You may be great at your make up everyday but a professional will consider the photos. Remember the first dance will be around ten hours after you have had it applied. 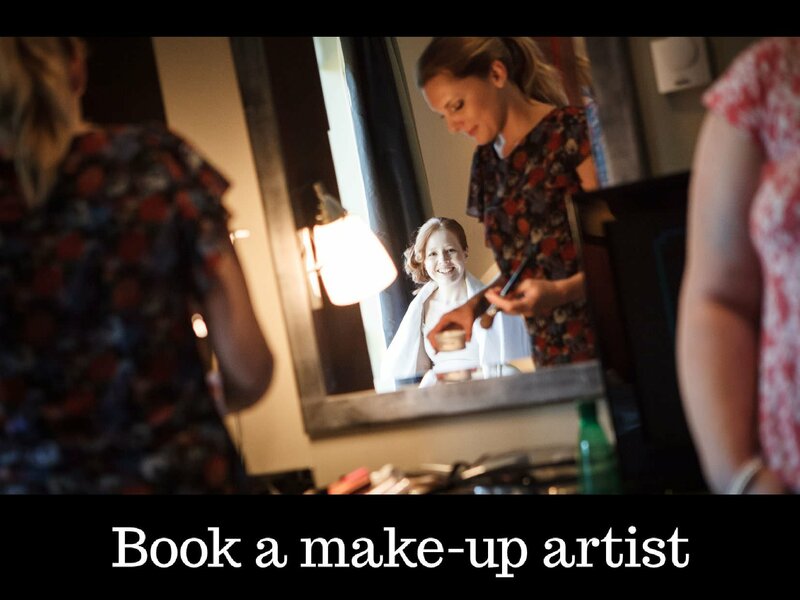 We know a great make-up artist when the bride still looks amazing at the first dance, especially as when the flashes usually come out. This last point is key – have fun. 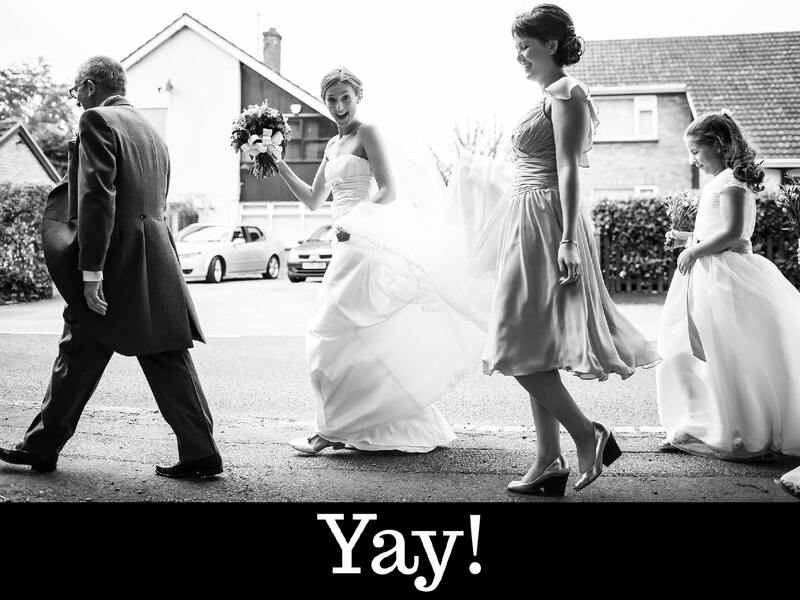 Let your photographer document you having a great time – it’s your wedding day! This is why it is essential that you hire a photographer you can have a laugh with, that you will feel comfortable kissing in front of and generally enjoy the company of. The wedding is over and you have had a fantastic honeymoon. Different photographers have different ways of showing you the finished product. Most of the time you will end up with a disk or album or both. As I mentioned earlier the disk only package is now popular as it allows you freedom of printing. You should have been given usage rights, this shouldn’t be confused with copyright. No photographer worth their salt should be giving away their copyright and you shouldn’t expect it. All you need is full usage rights to reproduce the images as you wish – hence I said earlier, make sure you read your agreement carefully. 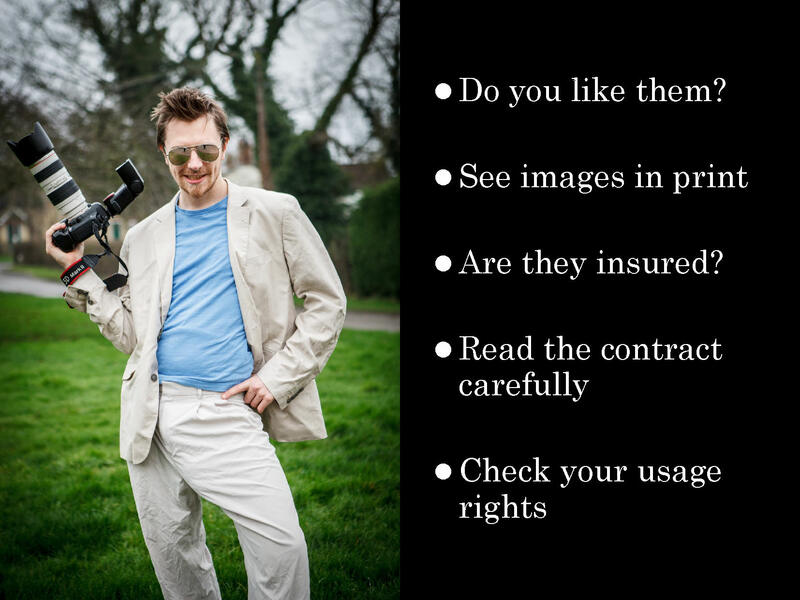 Don’t abuse the photographer’s good faith, personal usage rights means for you as a couple, not for guests, there is usually a way of buying prints for them so don’t be tempted to share all the images around. 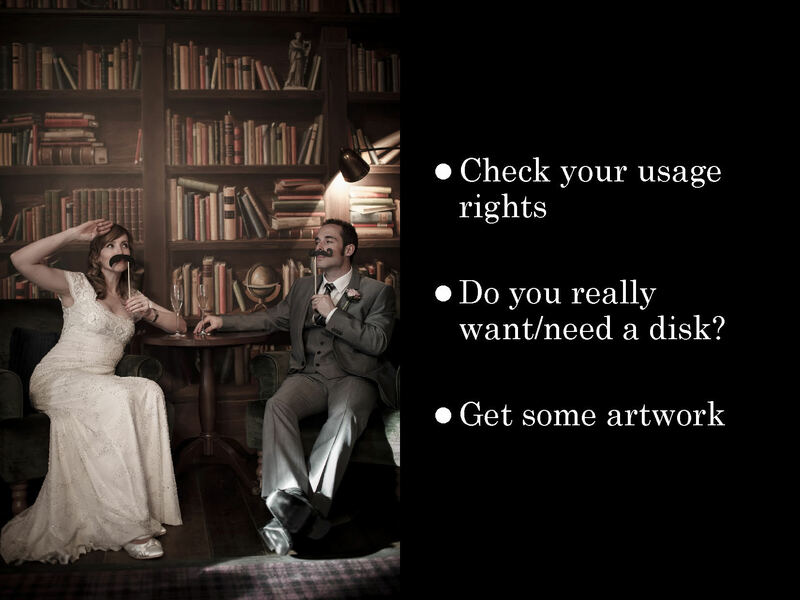 The most common feedback we have had from couples who opted for a disk-only package is that they make prints for Christmas presents then the disk goes in the drawer and they do nothing with it, barely looking at their wedding photos. To truly remember your wedding day make sure you end up with a piece of artwork, a canvas or a coffee table book – you really won’t regret it. We’ve had clients who had the disk come back a year after their wedding saying actually, can we have an album? In 2012 we introduced a piece of artwork specifically for our clients to have something beautiful to grace their well. Think about it, you have had a rubbish day at work and you finally get home and kick your shoes off, and there above the fireplace is this wonderful picture of your amazing wedding day. This is going to be the best day of your life and we are here to capture it for you, to hold those memories forever. Your wedding photography is an investment in your future. Remember we provide one of the only lasting reminders of your day, so do your research, don’t scrimp and go with your instinct; a great photographer will make you feel like you have booked a friend to do your wedding photography.